Serendipity Reviews: Exclusive! Deleted Scene from Hollow Pike! Exclusive! Deleted Scene from Hollow Pike! 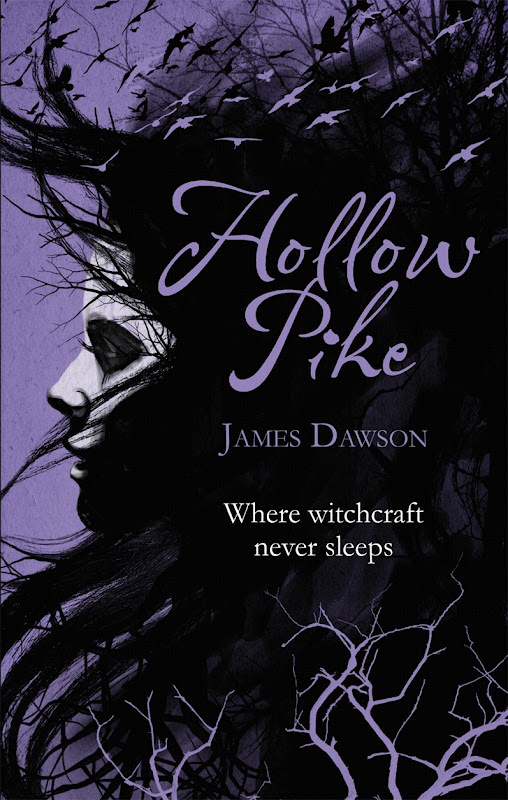 As this week sees the paperback publication of Hollow Pike by James Dawson, I am really excited to be able to feature a deleted scene from the manuscript as part of the blog tour. I really loved Hollow Pike and I want everyone to read it! the only male author ever to be shortlisted in the award’s history. This is from a very early draft of Hollow Pike – you’ll even notice than Danny Marriott is still called Jared Blair as he was in early versions. This is also a little bit…erm…racy. I think it went purely because Lis’s dreams were neater (and scarier) if she just had one recurring nightmare. It was such a strange dream. Rising from her bed, she pulled a blanket around her shoulders and headed across the coal-mine darkness of the bedroom. She pushed open the terrace doors and stepped into searing sunlight, the glare drowned the entire garden. ‘Lis ...’ the raven repeated. Shielding her face with a hand, Lis looked upwards searching for the bird, but it was impossible to detect in the burning whiteness. Rocking back and forth, a lone black feather drifted down on an upwind, right before her eyes. He reached out and rested his warm fingers on her bare collarbone, tracing it across to the tips of her shoulders. Oh, the friction of another's skin on her own was almost too much to take. She gasped and had to look quickly away. ‘Shh ...’ He pulled her into a strong embrace. They were so close now, Lis could feel his pure, clean breath on her ear. But then he squeezed much too tightly and she felt her body compress inwards, all the breath knocked out of her. ‘FREAK!’ he growled in her face. He was gone. Another black feather twirled past her to the floor. And then another. And another. Soon it was raining soft, thick feathers and they rapidly began to settle around her feet. With a flustered hand, she batted them away from her eyes, but found that no matter how hard she tried, they kept falling faster and heavier. ‘Unnatural!’ was the last sound she heard in the raven's voice before the beep, beep, beep of her alarm clock dragged her from slumber. 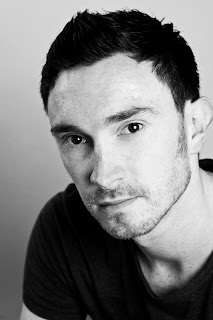 JAMES DAWSON grew up in West Yorkshire, writing imaginary episodes of DOCTOR WHO. He later turned his talent to journalism, interviewing bands such as Steps and Atomic Kitten before writing for a Brighton newspaper. Until recently, James worked as a teacher, specialising in PSHCE. He is most proud of his work surrounding anti-bullying and family diversity. He now writes full time in London. In his spare time, he still loves DOCTOR WHO and is a keen follower of horror films and connoisseur of pop music. James is available for interview. 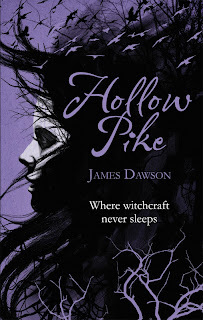 Who would like to win a snazzy purple edged copy of Hollow Pike??? I have three to giveaway to UK residents only. If you are not from the UK, apologies, but please don't enter as you will not be eligible. UK residents, please enter your details below to be in with a chance of winning a copy. I <3 this tour! It's such a great idea to offer the discarded little snippets that give an insight into the book's evolution. Thanks Viv and James!